Do You Want To Improve Your SQL Skills and Stand Out Among Your Co-Workers? Join a community of Oracle database developers and improve your career with online training and guides. Are you tired of not knowing how to use Oracle SQL to its full potential? Are you trying to stay up-to-date with your Oracle and database knowledge? Do you want to impress your teammates and database administrators with your Oracle knowledge and skill? 1. Learn it on the job, slowly, from reading other people's queries. 2. Attend an official training course, having to take days off work and costing thousands of dollars. This solution will avoid both of those issues. When I started with Oracle SQL, I was only using the basics. My queries were messy, and they were slow. Running these on a production database could have caused problems. And maintaining them would have been hard. You don't want to deploy messy or slow queries on a live production server. You'd rather be responsible for implementing well-written, easy to maintain, and fast queries, wouldn't you? As I learnt more Oracle SQL and learnt about advanced concepts such as sequences and materialized views, I found that I was better able to design solutions for the projects I was working on. Imagine... knowing what feature of Oracle SQL will be the most suitable to any query that you write. Imagine... being able to understand and contribute to what the more senior Oracle developers are talking about. Imagine... the respect and admiration you'll receive from your coworkers when you are more knowledgeable in Oracle SQL. Imagine... the relief and satisfaction of working with database administrators when you write clean and efficient SQL code. So, why should you consider my solution? I've been working with Oracle SQL for many years. I've been writing about Oracle SQL topics and creating Oracle courses for years on the blog at DatabaseStar.com. I can explain the concepts easily and show examples to help you learn and become productive with your Oracle SQL. I've also obtained the Oracle SQL Expert certification, which has allowed me to improve my queries even further. 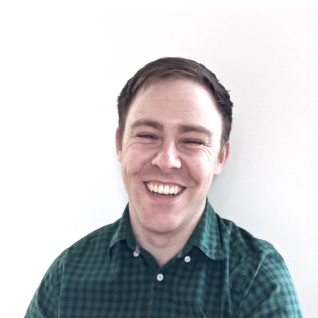 - What is data modelling? QUIZZES: Most courses include several quizzes to test your knowledge as you work through the course. You can use the quiz results to determine what you need to learn more about. CERTIFICATE OF COMPLETION: Receive an automatically-generated Certificate of Completion once you complete a course and pass all quizzes, as proof you have completed the course. TRACK YOUR LEARNING: Mark lessons as complete, view course progress and quiz status all on a single page. ALL FUTURE CONTENT: All content I create for Database Star Academy will be included in the membership in the future: videos, PDF guides, courses. You'll get access to this content immediately, and access to regular SQL videos as they are released. When you buy the Database Star Academy membership, you'll get instant access to a collection of online videos, PDF guides, and private Facebook group. Best Value: Save $30 when you join on an annual subscription. Recurring payment, cancel anytime. 30-day money back guarantee. All prices in USD. Processed securely using Stripe or PayPal. I've been working with Oracle and SQL for many years, after completing my computer science degree in 2007, majoring in Oracle databases. I've been a software consultant ever since. I created this membership to teach Oracle SQL and database skills to many people. I want you to be able to improve your knowledge and skills with SQL and databases. Learning all of this on various Internet sites would take a long time, because there's just so many sites out there and they can all be confusing. Enrolling in a live training event will take days from your life, and cost thousands of dollars. Even if your employer pays for it, it's hard to get them to agree. For the cost of three coffees per month, you can get access to all of the material I mentioned, ongoing regular videos, and a private Facebook group. Instant access to four complete online video courses (Introduction to Oracle SQL, Advanced Oracle SQL, SQL Developer Jumpstart, Relational Database Design, Intro to PL/SQL, Oracle SQL Performance). Instant access to several PDF guides on different topics (including Joins, Best Practices, SQL Developer Quick Start, SQL Developer Keyboard Shortcuts). Any future courses will be automatically added to the membership at no extra cost to you. New members-only videos released every month, explaining tips and techniques in Oracle SQL. Most courses include several quizzes which you can use to test your knowledge. Receive a Certificate of Completion once you finish all modules and quizzes in a course, to prove you have completed the material. Why put off taking your Oracle SQL skills to the next level? You can enrol in the Database Star Academy membership right now for only $15/month. One month from now you could be developing some great SQL queries and impressing others with your improved Oracle knowledge. Or, you can do nothing and don't learn anything new, putting your work at risk and maybe even your career. If you take action now, you'll get access to all of my courses and PDF guides, private Facebook community, and special members-only monthly SQL videos. All for a low price of $15 per month. If you are not satisfied with your membership, then let me know within the first 30 days of purchasing, and I will provide you with a full refund. "Why should I join your membership?" I've been teaching Oracle to coworkers and on my blog for years. 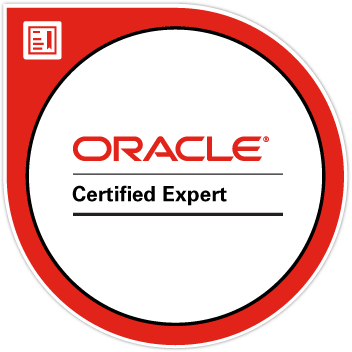 I'm also a certified Oracle SQL Expert and passionate about writing good Oracle SQL. You'll get an email with details on how to register for the course on Database Star. Once you register, you'll be able to log in to an area of the site that has a list of all the modules, videos, and downloadable material. You'll then be charged every month. "Can I cancel my membership?" "Can I sign up, download all the material, then cancel?" While I would prefer that you didn't do that, there's nothing stopping you. It would take you a while to go through and download the hundreds of videos though. Also, when you cancel, you'll lose access to the private Facebook group, and you won't receive any of the monthly SQL videos. It's more beneficial for you to stay a member.